We ended the last essay with a start on the Apostle James’ list of those qualities that ARE the nature of “the wisdom that is from above” and we should understand here that this list IS NOT to be seen as objectives but rather as the nature of the thoughts and ideas that one should entertain as that they ARE from God. The whole point to our discussion IS to reveal the intended reality behind James’s words, a reality that has been missed by most ALL who claim that ‘God told me’ this or that. Over the last few essays we discussed the negative ideas that ARE presented as “pikros zelos kai eritheia and wrongly understood in terms of jealousy, envy, selfishness, selfish ambition, plain strife and other like ideas and while some of these DO fall into the overall ideas of emulation and factious division, they ARE NOT seen in that light. The whole idea here should be seen in the way that the incoming thought or idea affects one’s relationship with others and here we should understand that this IS NOT in regard to a singular other. True Wisdom IS founded in Truth and Love while wisdom IS founded in the self and what will benefit the self and here we should note that this covers both the individual and the corporate effects. And there ARE some deeply hidden Truths that each man must uncover in his determination of whether his realization IS Wisdom or it IS wisdom….every motivation that IS moving a thought or an idea must be scrutinized as well as every possible result of action taken based upon that thought or idea. While this may seem an arduous task, it IS NOT; most everyman KNOWS his own heart and most everyman can foresee where he places himself in his own thoughts. To help us ALL determine Wisdom from wisdom we have the added quality of our thoughts and ideas….that they must be “proton men hagnos” or, in a word, holy. “Who is a wise man and endued with knowledge among you? let him shew out of a good conversation his works with meekness of wisdom. But if ye have bitter envying and strife in your hearts, glory not, and lie not against the truth. This wisdom descendeth not from above, but is earthly, sensual, devilish. For where envying and strife is, there is confusion and every evil work. But the wisdom that is from above is first pure, then peaceable, gentle, and easy to be intreated, full of mercy and good fruits, without partiality, and without hypocrisy. And the fruit of righteousness is sown in peace of them that make peace” (James 3:13-18). Under the summarized idea of “first Truly holy” there ARE several other misunderstood and misrepresented ideas and while we have studied these in some depth in past essays, we will go through these once again in order to show just what ARE the components of “proton men hagnos“. First in James’ list IS eirēnikos, the adjective form of the noun eirene, which IS rendered as peaceable in the King James Bible. Others render this as peaceful and as peace loving and here we must remember that we ARE speaking about an idea or a thought and NOT a person or his actions. We should try to see here that this positive idea of eirene IS contrary to the negative connotations of eritheia, that IS that a peaceable thought IS one that CAN NOT divide, that DOES NOT see one side over another in any way other than as an expression of the Truth which IS NOT offered in an emulative way. Perhaps the best spiritual guide to eirene IS Jesus’ use of this as He sends forth His disciples saying “when ye come into an house, salute it. And if the house be worthy, let your peace come upon it: but if it be not worthy, let your peace return to you” (Matthew 10:12-13). Can we see the point here? Can we see how that eirene IS a sense of peace, an expression of it? We can see the same idea of eirene as the Master tells those He heals to “go in peace” (Mark 5:34, Luke 7:50)….while this word IS used also to cover such ideas as peace between men and nations, these ARE carnal implications. James IS of course speaking of spiritual things, he IS speaking of that “wisdom that is from above“. It this peace that the Apostle Paul seeks to be upon ALL whom he addresses in his letters as he begins most all of them with the idea such things as “Grace to you and peace from God our Father, and the Lord Jesus Christ” (Romans 1:7). We should try to see here that such peace in thoughts and ideas carries a reality of a calm understanding of Truth based in whatsoever realization IS in that Wisdom which IS being revealed. Finally we should see the relationship between this idea of peace and righteousness as James concludes his discussion of wisdom versus Wisdom saying “the fruit of righteousness is sown in peace of them that make peace“. We should try to see this “fruit of righteousness” as one’s expression of righteousness which IS sown in the world by those whose realization, those whose “wisdom that is from above“, enables him to be among those who Truly “make peace“. This IS more than one’s ability to intercede in conflict and the Greek word that IS rendered as “them that make“, poieo, IS defined by Thayer’s as: to be the author of, to cause 9 for this specific saying from James; this offers us a better idea than DOES make. The next word in James list IS epieikēs which IS rendered as gentle by most and as kind, modest and considerate by a few. This word IS rendered as moderation and as patient in other uses in Paul’s epistles according to the King James translators and this should give us a hint as to the relative confusion regarding the use of epieikēs. This compound word IS defined by Strong’s as appropriate 9a and by Thayer’s as: what is reasonable 9, but it IS Vincent who gives us a deeper look saying that: A common derivation of this word is from εἴκω , to yield. Hence the meaning, mind, yielding, indulgent. But the true derivation is from εἰκός , reasonable; and the word implies rather the not being unduly rigorous: “Wherein not strictness of legal right, but consideration for one another, is the rule of practice” (Alford) 4 . Vincent’s comments ARE in regard to the use of epieikēs by the Apostle Peter (1 Peter 2:18) where he continues to say that: Rev. gives forbearance, with gentleness in margin. According to Aristotle, the word stands in contrast with ἀκριβοδίκαιος , one who is exactingly just, as one who is satisfied with less than his due. Again we should remember that James IS telling us of the qualities of Wisdom itself with NO reference to a man and here we should see thoughts and ideas that ARE reasonable and appropriate according to Thayer’s and Strong’s but these give us little idea as to the True intent of James use here. However, in the combination of these ideas with Vincent’s remarks, we can see that without consideration of carnal values, legal right according to Alford, such thoughts ARE considerate of others and this as a rule of practice. Aristotle’s ideas build upon this in a way of humbleness where although there may be a legal right, such IS ignored in favor of being satisfied. Paul shows us this same idea saying “I have learned, in whatsoever state I am, therewith to be content” (Philippians 4:11) and here we can presume that this learning IS from that “wisdom that is from above“. The writer of Hebrews frames this same thought saying “Let your conversation be without covetousness; and be content with such things as ye have: for he hath said, I will never leave thee, nor forsake thee” (Hebrews 13:5). We should try to see here that ALL spiritual thoughts ARE perforce gentle, reasonable and appropriate but we should also see that James intent IS NOT the ordinary but something more and here that something more leads one in humbleness, in being content, and therefore contains NO impetus for personal gain or reward….such IS “the wisdom that is from above“. We have so far thoughts that ARE eirene, thoughts and ideas that bring the “fruit of righteousness” into one’s Life….thoughts that ARE the author of and which serve to cause such “fruit of righteousness” in the Life of the man who Truly has “the wisdom that is from above“. With this idea IS in place of peaceable and in place of gentle we have thoughts and ideas that leave one satisfied and content with his state KNOWING that this reward IS greater than any carnal offering from the personality or the world. Again these ARE in regard to the thoughts and the ideas that come to a man as that “wisdom that is from above” and which identify such Wisdom; contrary to this ARE thoughts and ideas that can encourage disharmony, emulative thoughts and ideas that divide a man from others who see differently as well as those that seek personal reward of any kind be it psychically or physically. The psychic portion of spiritual thought IS NOT well addressed in the doctrines of men although such ARE spoken of by the Master and His apostles. There IS much doctrinal confusion concerning rewards as these ARE ofttimes interpreted into carnal thoughts and ideas and the idea of reward IS intermingled with that of grace both in scripture and in doctrines albeit in different ways. We should try to see here that the idea of reward, of a spiritual reward for DOING as the Master teaches, IS denied in some parts of the church while it IS embraced in the form of grace as a ‘free‘ gift for the believer. The greater reality however IS that there IS NO carnal reward nor IS there carnal grace; there IS NO worldly benefit to be found in either save for the effects on one’s Life through that “wisdom that is from above” which itself IS both the reward and the grace. It IS this idea that should be seen in the ways that the Master’s words on Love ARE given to us by Matthew and Luke; Matthew tells us Jesus words as “if ye love them which love you, what reward have ye? do not even the publicans the same?” (Matthew 5:46) while Luke tells us this same thing saying “if ye love them which love you, what thank have ye? for sinners also love those that love them. 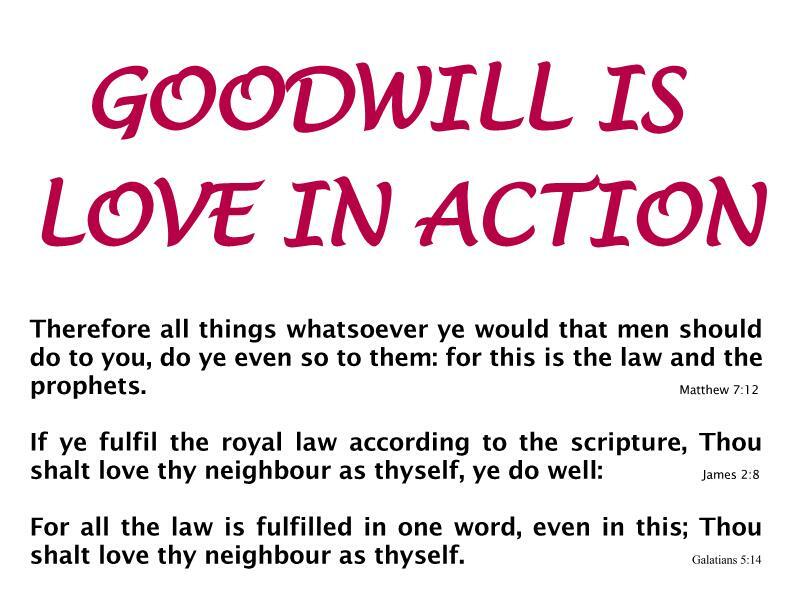 And if ye do good to them which do good to you, what thank have ye? for sinners also do even the same” (Luke 6:32-33). Here we should remember that the King James translators chose the rendering of charis as thank rather than grace and this likely because the idea of grace shows it akin to a reward causing most all translations to choose other words except for three in our library. We have shown these same ideas regarding the apostles use of the Greek word eupeithes which IS rendered as ”easy to be intreated” and which IS ONLY used here by James; in this we took our own route to finding some meaning by breaking the word down into its parts; eu and peitho and in this approach found the idea ‘well believed‘ which we take to say ‘easy to believe‘. In this idea we find what can be an attribute of that Wisdom from above, that in the sensibility of the aspirant and the disciple such a thought or revelation would NOT be alien nor far removed from a sense of reality. “wisdom that is from above” IS ever progressive and aids in the spiritual evolution of men and this even when such progression and evolution ARE NOT considered as such by the mainstream of carnal thinking men. James continues with mestos eleos kai agathos karpos which IS rendered as the phrase “full of mercy and good fruits“. In these words we should try to see the reality of Love and its expression in the world. Wisdom IS full of Love….these ARE inseparable aspects of the Godhead and ARE ever the spiritual impetus which drives the man whose focus IS upon the Godhead. In the idea of mestos we should see ONLY the idea of full and in this context there there IS NO space in Wisdom, in one’s thoughts and ideas from above, for anything but “mercy and good fruits“. This IS much like the Great Commandment which IS NOT understood by the doctrinal church in the way that it IS presented; as we read that “thou shalt love the Lord thy God with all thy heart, and with all thy soul, and with all thy mind, and with all thy strength” we should understand that there IS NO space for one’s attention to anything else, an idea which goes unseen because of the failure of men to properly understand agape. The point here IS that Jesus ties this Great Commandment with another which tells us of Love for everyman. In the words “Thou shalt love thy neighbour as thyself” one can see Love for others that ARE NOT “the Lord thy God ” but this view IS misplaced. The greater reality IS that everyman IS the same spiritual being and part and parcel of the Greater Spiritual Being that we call God and in this view to Love “thy neighbour as thyself ” IS to Love God and, according to James, to DO so with NO “respect to persons” (James 2:9). The Apostle John gives us this idea of agape in different terms saying “If a man say, I love God, and hateth his brother, he is a liar: for he that loveth not his brother whom he hath seen, how can he love God whom he hath not seen? And this commandment have we from him, That he who loveth God love his brother also” (1 John 4:20-21). The doctrines of men which interpret mestos eleos kai agathos karpos into such phrases as “full of mercy and good fruits” fail to see the depth of the ideas that James IS presenting and this because they miss the True intent of agape as well as eleos which IS rendered into and understood as such carnal ideas of mercy as compassion for those of lower estate or a general sense of kindness. The True scriptural meaning of this idea of eleos should be seen as one’s expression of agape as this word IS intended to be understood. In the gospels there IS some uncertainty regarding mercy in the words of those asking Jesus for mercy, we DO NOT KNOW what it IS that they understand the idea to be….these ARE mostly carnal men asking for carnal reward. In Jesus’ words however we DO see the reality of His expression of agape in the world as well as the idea that mercy IS a quality of God and IS therefore a spiritual quality. The Apostle Matthew shows us two times the Master repeating of the words of the Prophet Hosea regarding this idea of mercy versus the religious practices of the Jews and in such sayings as “But go ye and learn what that meaneth, I will have mercy, and not sacrifice: for I am not come to call the righteous, but sinners to repentance” (Matthew 9:13) we should be able to glimpse the meaning of this idea of eleos. To understand this we need also to see that the heart of the law as shown us in the original ideas of the Great Commandments IS centered in Love and that the prophet, speaking as the Lord, IS showing men the Way of Love; the way of the expression of Love. Hosea says “For I desired mercy, and not sacrifice; and the knowledge of God more than burnt offerings” (Hosea 6:6). Jesus repeats this same refrain saying “But if ye had known what this meaneth, I will have mercy, and not sacrifice, ye would not have condemned the guiltless” (Matthew 12:7) and here we should see the Jews’ failure in NOT expressing Love toward what Strong’s defines for us a the innocent 9a which IS a better choice for anaitios than IS guiltless. We should also see the idea here of condemnation in terms of judging and as the view of the religious leaders looking down upon the common people….we should see a matter of attitude. Can we see the point here? Can we see how that the “certain man” IS the innocent and how that it IS the judgement of the passing Levite and priest that causes them to walk on by? It IS a Samaritan, a group which Jews treated with every mark of contempt, and accused them of falsehood, folly, and irreligion 4 according to Vincent, that stops to help the man in an expression of agape and, from the tone of the story, we can assume that this Samaritan DID NOT inquire about the status of the man, whether he was a Jew, a Samaritan or a gentile,….it IS in this way that mercy, the expression of Love, IS offered. We should see here far more than the common understanding of mercy, much of which may come from this story by Jesus; and we should see here that this surely was NOT His intent. What this Samaritan offers IS much more than Pity; compassion manifested towards a person in distress 1 as Webster’s 1828 dictionary shows us and where much of the other defining ideas revolve around mercy as a view toward offenders 1. It IS when we can see and understand eleos in terms of agape that we can find the True idea of mercy in New Testament terms and here we should see that “the wisdom that is from above” IS full of this True idea of the expression of agape. Any thought or idea that one considers as Wisdom must have this component….that of being expressive of agape as ARE the desire of the Lord and the actions of the Samaritan. It IS such Wisdom that IS mestos eleos kai agathos karpos which IS “full of mercy and good fruits” through this understanding of just what eleos and mercy Truly ARE. In the idea that “the wisdom that is from above” IS full of mercy we should try to see that such fullness IS just one of Wisdom’s qualities and here we should remember that James list of the qualities of Wisdom shows us that Wisdom IS ALL of these and NOT one’s selection from this list. Wisdom, being full of mercy IS then also full with “good fruits” and here we should go to the Master’s words for a primary definition of just what “good fruits” ARE. The clearest idea of “good fruits” IS perhaps the ending idea from the Parable of the Sower where we read that it IS the man who keeps His words that will produce such and in this context we should be able to see that this fruit IS spiritual and comes in the realization of the man who comes to KNOW the Truth according to the Master’s words saying “If ye continue in my word, then are ye my disciples indeed; And ye shall know the truth, and the truth shall make you free“. We should understand here the dynamic link between the whole idea of “the wisdom that is from above” and the Truth which “shall make you free“; a link that IS shown to us in the idea of fruit from the parable which shows us that seed planted “on the good ground are they, which in an honest and good heart, having heard the word, keep it, and bring forth fruit with patience” and here we should remember that “The seed is the word of God” (Luke 8:11, 15). While these words DO NOT directly define just what “good fruits” ARE, it DOES go a long way in showing us the nature of “good fruits” as what pours forth from the Life of one who DOES keep His words. In both the Gospels of Luke and Matthew there IS reference to the source of “good fruits“, that such ARE from “good tree” which ARE symbolic here of good persons and that there CAN NOT be “good fruits” produced by a “corrupt tree“. In these ideas of good and corrupt we should see things of God versus things of the world. The former IS spiritual and the latter is carnal and it IS this that should be read into Jesus’ words saying “Beware of false prophets, which come to you in sheep’s clothing, but inwardly they are ravening wolves. Ye shall know them by their fruits. Do men gather grapes of thorns, or figs of thistles? Even so every good tree bringeth forth good fruit; but a corrupt tree bringeth forth evil fruit. A good tree cannot bring forth evil fruit, neither can a corrupt tree bring forth good fruit. Every tree that bringeth not forth good fruit is hewn down, and cast into the fire. Wherefore by their fruits ye shall know them” (Matthew 7:15-20). Not every one that saith unto me, Lord, Lord, shall enter into the kingdom of heaven; but he that doeth the will of my Father which is in heaven” (Matthew 7:21).